Over the years, Lincoln Family Funerals have cared for many families in their time of need. 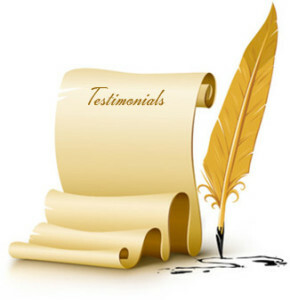 Here are a few of their testimonies from the funeral service we provided for them. “Thank you so much for helping my sister and I give my Mother a terrific send-off yesterday. You were great. Extremely professional and empathetic. Nothing was too much trouble. We cannot fault anything at all. It was all perfect and perfectly well done. I would not hesitate to recommend you at all. Thank you once again” – The Cull Family. “Highly recommend this family run business. They were very professional assisting us with my fathers funeral that was organised beautifully within such a short period of time. They captured the essence of my father so well and recommended the perfect celebrant. It made a difficult time so much easier for us to cope with. They were fantastic going above and beyond to ensure my mother was comfortable with the experience. Many people at the funeral were complimentary of how lovely it was.” – The Smith Family. “To the team at Lincoln Family Funerals. From the first phone call to you with all my questions, then followed by more questions again, the patience, empathy and your time you gave me, I knew you were the ones who had the compassion and understanding to take care of my fathers funeral. I didn’t even consider anyone else from that moment on. You handled and arranged everything swiftly and went along and accommodated us with our requests that were important to us without any trouble. The day was beautiful and everything went so smoothly and peacefully and the care and detail you showed us was beyond words. Our gratitude always and many thanks to you and your family. You do a fantastic job at understanding the families needs and in looking after us in this difficult time. Recommend you most definitely. Thank you always” – The De Luca Family. “Lincoln Family Funerals were fantastic from the very first devastating phone call. They were beautiful kind and so caring, they took control and assured me that mum would be looked after immediately and taken into their care not picked up and taken to some other mortuary, this was a huge concern for me and the family. We couldn’t have asked for a more caring and professional company, making this awful experience a not so bad time, instead remembered and actually celebrated Mums life. The day went without a hitch and all 200 guests commented on what a beautiful service it was. My family and I would have no hesitation in recommending your loving and caring company.” – The Brassington Family. “Words cannot express my gratitude for the care, compassion & support shown to my family & myself on the passing of our treasured Dad. Nothing was ever too much trouble & I honestly could not have gone through this sad time without you. 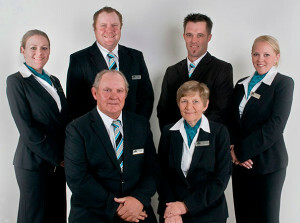 I would highly recommend this wonderful team of dedicated staff to absolutely everyone. Once again, I cannot thank you enough.” – The Zanelli Family. “There are no words to describe how thankful we are for the funeral service that you provided for us. You made a very difficult time and situation for us so easy and for that we will always be grateful. You have such a wonderful family and it really shines through in the work that you do, and the special touch that comes from working with a family business. Once again, from the bottom of our hearts, thank you so much, your dedication and kindness will never be forgotten.” – The Rodrigues Family. 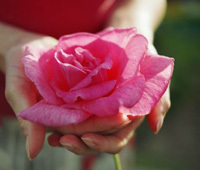 “Thank you so much for making a very difficult time in my life that little bit easier with all your friendly support. The day went very smoothly and I am sure he would have approved 100%. Thank you all.” – The Grainger Family. “We appreciate your support and direction in helping us get through a very difficult time.” – The Krishnan Family. “To the Lincoln Family, I write this with a massive hug to say thank you for sharing our brother’s funeral. You are awesome and even though it was tricky with us being all over the country, you delivered and supported us in all our wishes. My family and friends were extremely pleased with it all. It was exactly what he wanted. So from the bottom of my heart I say thanks and I will be recommending you to others even though I am in Adelaide.” – The Lawson Family. “Words cannot express how grateful we are for the perfect funeral you put together for Dad. Nothing was too much trouble for you and we would not have changed a thing! Thanks heaps.” – Rob. “To the Lincoln Family, thank you for your wonderful service on the day of Dad’s funeral. Your compassion and understanding at our time of sorrow was very much appreciated by the family. Thank you for your lovely service, all you girls did a fantastic job.” – The Miller Family. “Thanks for all of your assistance during our tough time.” – The Bastel Family. “You have a way of doing things with a very special touch, thank you with love.” – Rhonda, Matthew & Rebecca. “Thank you for helping us ease into the planning of our Dad’s funeral. We loved the service and you did a wonderful job.” – The Tuck Family. “Words cannot express our thanks and appreciation for all of your hard work and extra time you spent on behalf of our Mum/Nan. It was a beautiful farewell and you made it so special for all of us. Thanking you with all of our hearts.” – The White Family. “I would just like to say that it was a fantastic send off for our sister. Best funeral I have been to and my family agrees. Thanks so much.” – Gary. “On behalf of all the family, I would like to thank you all for the way you helped us with Mums funeral, and for going that extra bit to help and guide us through it all.” – The Lane Family. “Just wish to say thanks very much with Dad and Mum at this very sad time. All your love and support made it easy for our family. Thanks again.” – The Solomon Family.